This article will be devoted to the connections of our emotions and the ability to receive revelation and the capacity to birth the vision that God has given. 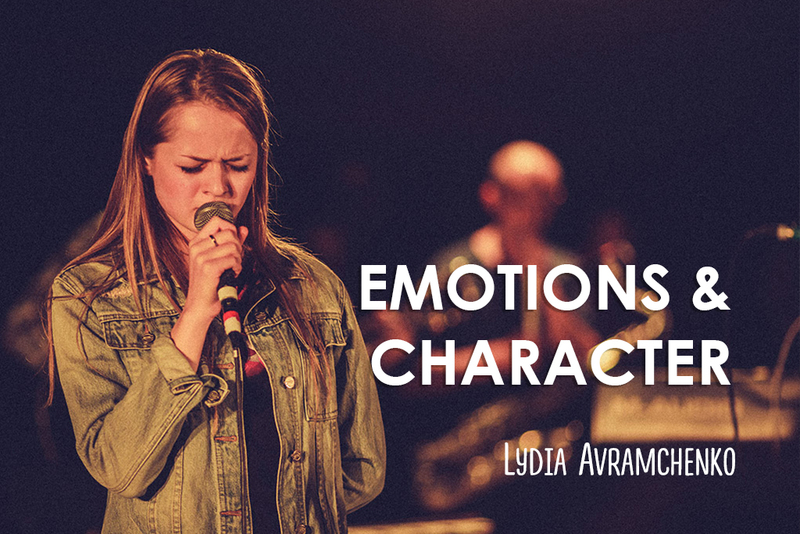 Emotions is an essential part of our soul. We feel and that`s how we know we are alive. But the thing with emotions is that they only do good when they are tamed into the obedience of Christ. What does thoughts have to do with emotions? Webster dictionary defines emotions as conscious mental reactions (as anger, fear, love or joy) subjectively experienced as strong feeling usually directed toward a specific object and typically accompanied by physiological and behavioral changes in the body. There is a certain part in our brain that weighs surroundings, events and circumstances from the perspective of being safe, unsafe, meaningful or not meaningful to us. And whether this evaluation is positive or negative, it makes us feel something and lose stability. If we don`t have mind of Christ, our emotions are untamed, as what we feel is based not on the will of God for us, on His Word but on inward imagination, and it can attract different spirits. Those spirits intermingle with intellect and people tolerate is as they think that it is who they are. Especially in socially developed countries, where the average level of intellect and social adaptation is high. Untamed mind – results in untamed emotions – the combinations of which produces unhealthy intellect. Every person and every nation should be transformed into the image and mindset of Christ and His DNA, His Identity in us. I would like to point out two emotional scenes in the Bible. One is Joseph meeting his brother and being overwhelmed by love, the other – Jesus feeling angry when seeing stubbornness of men. When Joseph saw his younger brother Benjamin, he was overcome with strong emotion for him. Deeply moved at the sight of his brother, Joseph hurried out and looked for a place to weep. He went into his private room and wept there. After he had washed his face, he came out and, controlling himself, said, “Serve the food“. In Russian Bible it says he was ”boiling” with love for his brother. His emotion was pure love, and there was nothing wrong with feeling what he was feeling, but Joseph was in an important moment, his destiny was about to be revealed. That was the second time his brothers came to him, just as he saw it in two dreams when he was young. After everything he has gone through, Joseph`s heart was transformed and he had a full right to let go of his emotions and reveal himself to his brothers, although at that time it would have violated his true purpose – to feed his family and save their lives. So Joseph controlled himself and kept the mystery till the right time. We can be overwhelmed with emotions, but they should never keep us from doing what we are supposed to be doing on the way to reaching our destiny. Here anger (in greek is “orge”) – a settled condition of mind, even though a strong emotion may occur; opposite to wrath “thumos” which indicates an outburst of inward agitated condition of feeling, inward imagination. We become who we are, let DNA of the Lord develop in us through what we feel from the Holy Spirit; then we develop our character in Christ and that deals with what we do with what we feel, what decisions we make. It means decisions are made based on love for the Lord, others and ourselves, and not emotional ups and downs. We can receive a revelation, but we need a character built to birth the vision, it deals with increased capacity to carry that vision. Our destinies are to birth visions, change cultures, built cities, and empower others – BRING CHANGE. And that takes character – character of the Lord and Mindset of Heaven, Relationship based on love and honor. And We`ve all been invited to engaged into this for the things to change and not stay the same.